Aurum of the Place is a new project of Ukrainian contemporary art that opens in Zenko Foundation art space in Tatariv, May 5. An anthropomorphic figure glued and assembled from wood scraps gathered in river banks appeals to the audience. What is this? Despair? Request? Begging? 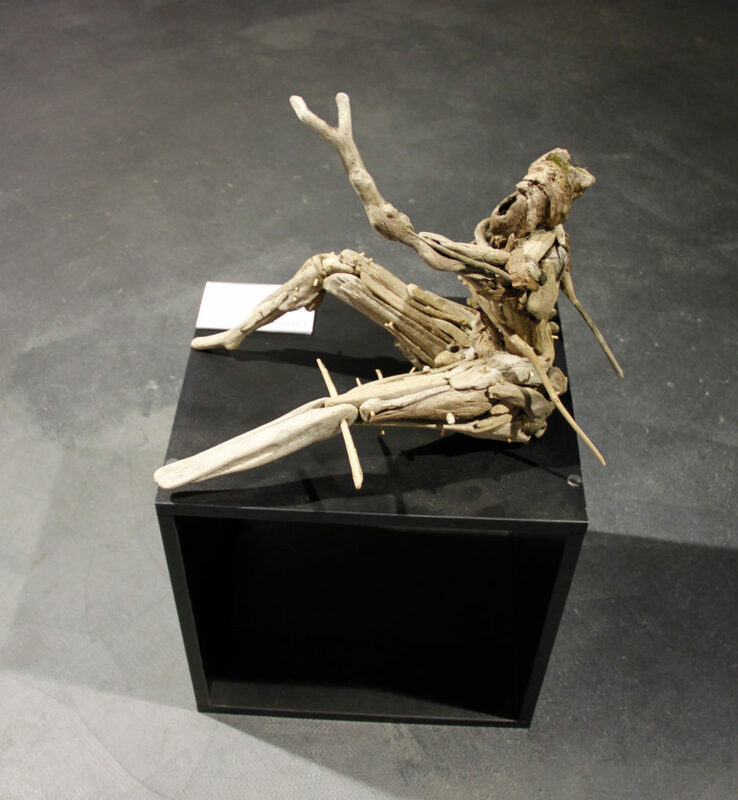 The figure with many joints reminds of an injured, mutilated hero requiring attention and help. Do we treat nature right? Will patience and resources last long? The best spot for this sculpture would be a natural environment, next to the river where it could get dissolved amidst a littered landscape and become a genius loci – just for a short while before the first barbarians arrive.